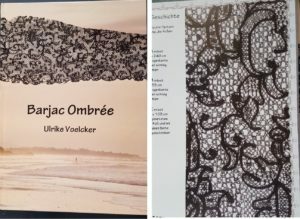 Barjac Ombree by Urike Voelcker, self published, I purchased my copy from Barbara Fay for 40 Euro. Hard cover, full colour, 130 pages fooscap, in German and English. 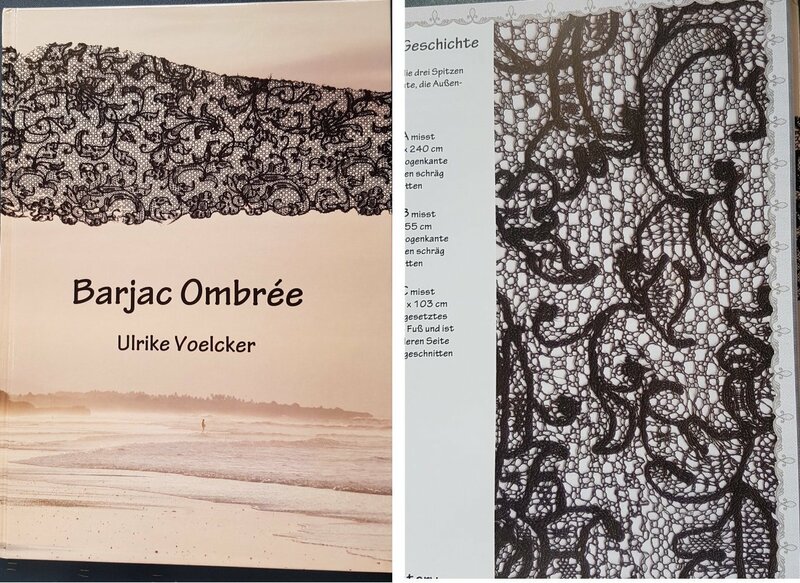 The name Barjac Ombree comes from the fact that Ulrike purchased 3 pieces of black lace at an antique fair at Barjac, France in 2008. They resembled nothing she had ever seen before, or since. 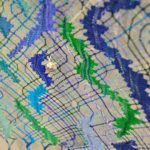 The ground is all roseground, and the motifs are outlined with two pair of contrasting thread worked in linen stitch. 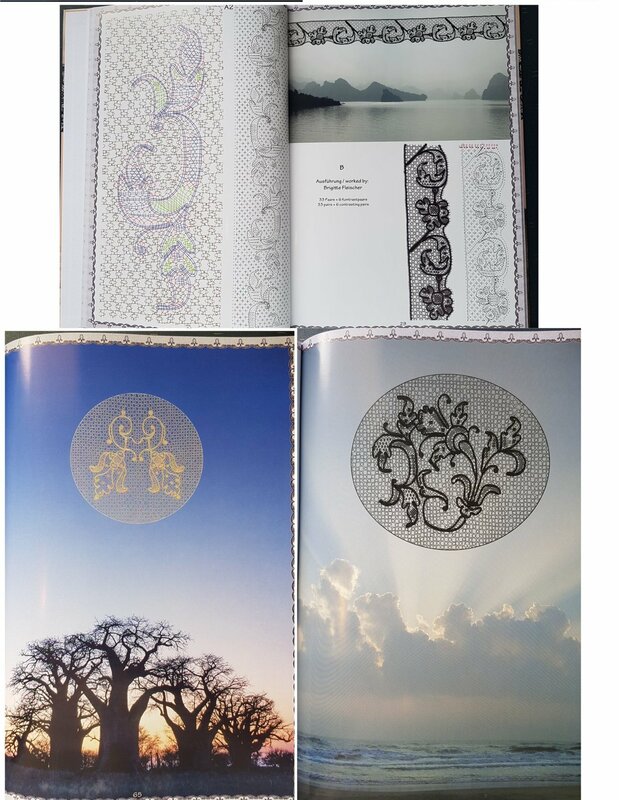 The pieces of lace she has designed with the three antiques as a base are stunning, as are the pictures of nature that accompany each piece. All designs have full and explicit working diagrams, colour coded. 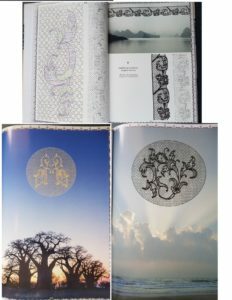 A truly beautiful book, even if only just to enjoy as “eye candy”.